Do you need assistance with the basic accounting requirements of your business? If so, we can provide you with professional assistance with every aspect from basic book-keeping, VAT Returns and payroll services, to preparing and/or auditing your financial accounts. We can provide you with a courteous, personal and professional service in assisting you with the completion of your personal self assessment tax returns, your company's corporation tax returns, tax advice on all aspects of Income Tax, Corporation Tax, Capital Gains Tax, Inheritance Tax and Value Added Tax. 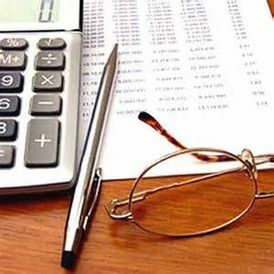 We can provide you with Cash-flow Forecasts and Projected Financial Accounts in addition to general business advice on all aspects of the administration and accounting requirements of running your business. We can also provide our address as the registered office of your limited company, if it is registered in Scotland, as well as providing assistance to the company secretary in maintaining the company's statutory books and assisting with the completion of necessary documentation, including the company's Annual Return and filing them at Companies House.